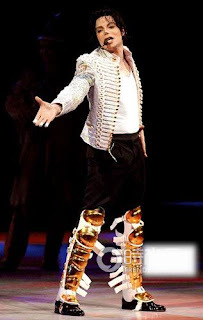 25th June,2009 is a date when all the fans are grief-stricken because of the sudden death of the pop star Michael Jackson on that day. The planned auction for 2000 performances of his clothes, personal belongings and personal collections also becamean exhibition at the United States Grammy Museum. The exhibition of these costumes and props shows unique taste of the King.. Michael Jackson has a pair of classic Swarovski crystal-studded gloves, and many of his performance clothing and accessories are decorated with precious stones, the largest one weighs about 15 pounds. The gloves are of finger-packed style with full red flakes,while there’s a line of white crystal studs obliquely set on the back hand. 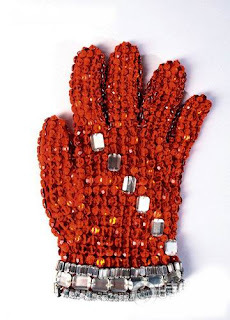 Besides,at the wrist position, there’s an array of crystal.The whole gloves look stunning and luxurious.If you are mad of MJ,you can go to the museum and have a look at this pair of glorous golves.